*Bolted is an old term meaning Sifted. All products may not be available all the time. Products are available at the Bridgeton Mill. Contact us for mail order info. 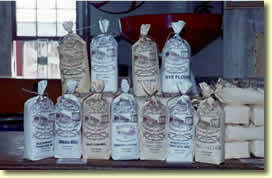 Get your fresh, stone ground flour delivered right to your door! !